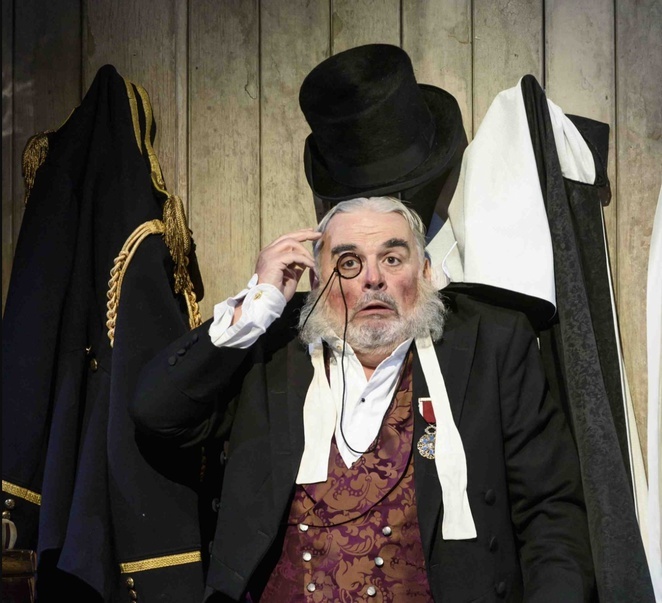 A previous production of this famous opera by the Welsh National Opera (WNO) was labelled 'the filthy Fledermaus' but this latest touring show is big on comedy and more likely to earn it the title of the 'funny Fledermaus'. This 2011 production directed by John Copley returns but has been updated to even include jokes about Theresa May and Donald Trump, who is likened to a pig's head. There's also a stand-up routine by the gaoler Frosch, played by comic actor Steve Speirs - well known for starring in and writing TV show Stella. As you can tell, this isn't a traditional take on the Strauss opera but a more accessible operetta sung in English. It demands more acting and comedy from the lead players but still manages to maintain the musical quality for the famous arias and waltzes. 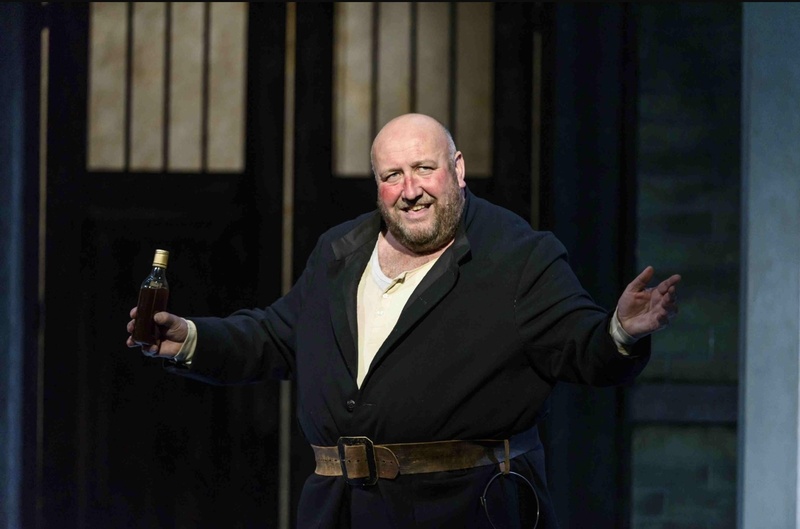 That's partly due to the fine conducting by Tomas Hanus, who made his WNO operatic debut in a Birmingham when Die Fledermaus stopped off at Birmingham Hippodrome for the WNO's summer season in June. He's energetic and commanding enough to draw the best out of the orchestra and singers. 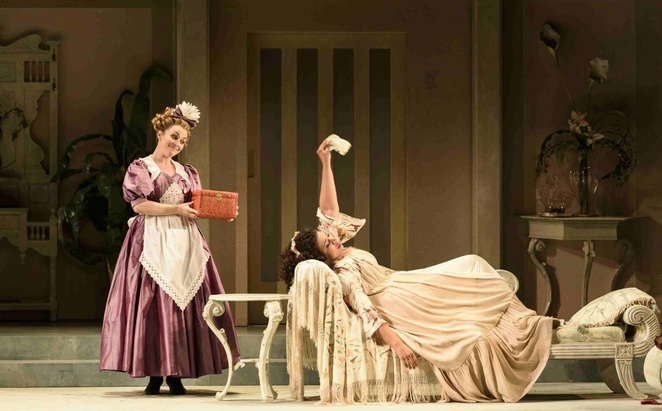 If you missed Die Fledermaus this summer, there's another chance to catch it as it's being performed again at Birmingham Hippodrome for the WNO Autumn Season between November 1 and 4. It also tours in the Autumn to cities including Bristol, Oxford and Liverpool. Die Fledermaus is a comedy of mistaken identities between a household in Vienna where a husband and wife are playing fast and loose with their marital vows. Teaching them a lesson is their friend Dr Falke, who draws them, their maid and a prison governor into a crazy night of mix-ups during a masked ball for a Russian prince. It's a hilarious production and the leads have a glint in the eye as they perform. Mary Elizabeth Williams is a vivacious, bold Rosalinde with a powerful voice. While Rhian Lois is a charming and funny maid, who gains plenty of laughs but also applause for her solo songs. Alan Opie as the prison governor also has a very funny sequence when he is drunk too. Lois will be returning for the Autumn performances but Rosalinde's role will be played by Judith Howarth, fresh from her role as Madam Butterfly. Added to the comedy is a grand, luxurious set, rich in design and costumes. The action moves from a decadent house to a glamorous royal ball where the guests are dressed up in all their finery against a vivid blue background. The stage is awash with vibrant colours to dazzle the senses. It may be a toned down opera but the music and songs are still at its heart and the emphasis is on the soundtrack. Strauss' Fledermaus overture is a dreamy, feel-good delight, along with classics like Adele's Laughing Song. What's particularly good about this show for newcomers to opera is that it's an easy to understand show. As an operetta it has sections of script summarising the proceedings and it helps that it is being sung in English. WNO has had several successes in recent years with similar operetta style productions rather than traditional operas, like Sweeney Todd and Kiss Me Kate, and this is in the same vein that draws in the crowds. 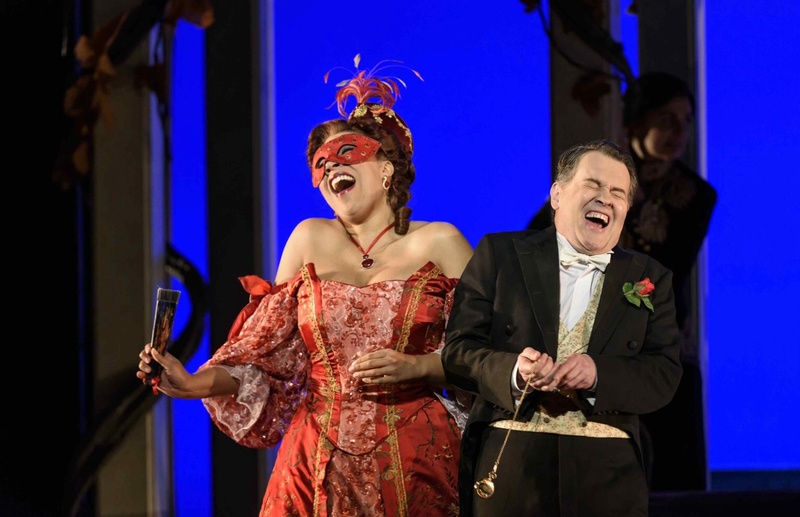 This WNO Die Fledermaus is a frivolous, light-hearted and feel-good production that respects the music while also injecting a shot of hilarious comedy. It's a hybrid of opera and a play that is sure to make you smile. Die Fledermaus is two hours and 55 minutes including two intervals.